Well, it’s almost the New Year and that means many people will be reflecting upon all that happened this year and also looking towards the next year and what may happen then. And, yes, that also means a whole new round of New Year’s resolutions that will likely be broken by mid-February at best, but we’ll talk about those in a little bit. In the meantime, when looking back at the past year here at Water Heaters Only, Inc we are once again very proud of the work that we have done and the thousands of happy customers that we have helped and the fact that we have been in business for nearly 50 years now. 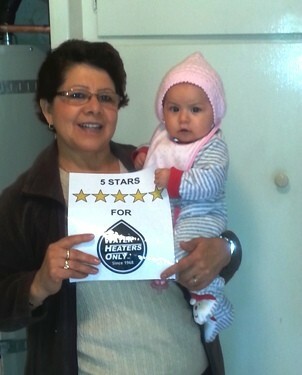 Our customers are the best and we are grateful for every one of them. We are also very grateful for our fantastic technicians, who are often the only people that our customers meet face-to-face. And, of course, how could we forget to be thankful for all of the employees at our corporate office? This group includes all of our sales staff, who are the first people our customers encounter and who set the tone for every facet of the job and who work with the technicians to make our customers very happy with the work being done. There are also those involved in the accounting department, HR and marketing. We all work hard and have a lot of fun while we all do our jobs and we all work together to provide the best customer experience possible. This past year was another successful one for Water Heaters Only, Inc. We generally base our idea of sucess on the fact that our customers are happy with the work that we do for them and continue to send there friends and family to us for their water heater service. 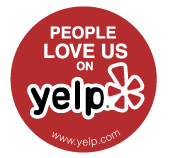 These days its prety easy to see how our customers service is, but the fact that we are 5-star rated on Yelp and have been A-rated on Angie’s List for the last several years. At this point, we are proud to say we have served over 500,000 satisfied customers and we just continue to grow. Speaking of growing, we have also really doubled our efforts to attract more property management clients and that means we have been doing a lot of outreach in our Los Angeles and San Diego service areas. We belong to many apartment associations such as the AOA (Apartment Owners Association), the CAA (California Apartment Association), and NARPM (National Association of Residential Property Managers). We even joined a new group this year: the AAOC (Apartment Owners of Orange County). These groups allow us to network with property managers and make sure these companies are aware of the services we have available. That also means we attend many different conventions and expos hosted by these various groups such as the AOA Million Dollar Trade Show and the RHA Expo. Some of these (like the RHA Expo) have themes and this allows us to really get creative and have dome fun at these shows. Here are a few photos of our recent booth at the RHA Expo, which had a Hollywood movie theme. Many of the property managers got their picture taken with our “Johnny Deep”. Now we look to the year coming up and this is when the dreaded “New Year Resolutions” start appearing. Yes, there is nothing wrong with setting a goal to better yourself and resolving to see it through, but so many people set unrealistic goals that they end up giving up before the new year has really gotten underway. According to the website statisticbrain.com, nearly half of all Americans – 45 percent – make New Year’s resolutions; however, only 8 percent actually successfully achieve their resolution. Why is that? Well, we don’t pretend to know, but it’s a pretty good guess that these resolutions involve lifestyle changes that the person hasn’t been successful at to begin with, so, often, failure is right around the corner. And these are not impossible tasks, but if they were easy, then everyone would be their ideal weight and eat only the healthiest foods, but they don’t because they aren’t easy. For a full list of the top ten New Year’s resolutions plus some other great information about these resolutions and healthy eating. Why did we bring that whole resolution thing up? To make the point that the best way to achieve success in your quest to see your resolutions through is to resolve to do something that you know you can do because you have done it before, but maybe you can improve upon the current version of what your doing. Small steps to a long term goal, tend to yield results more often than huge unrealistic goals. That’s why our New Year’s Resolution for 2016 is to continue to provide the best customer service we can and to make sure we continually live up to our reputation. You can read about the expectations we set for our selves and what to expect when you hire Water Heaters Only, Inc for you water heater replacement. However to sum it up, our guarantee means that when you use Water Heaters Only, Inc we guarantee low prices, quick service and quality products. And how do we know that we can make our resolution stick? Because that guarantee has been in effect since we got started all the way back in 1968. 1968! That means that in 2016, we will have been in business for 48 years. Wow! And you don’t stay in business that long without a long list of satisfied customers. In fact, to date, we have over 500,000 happy customers that have used our service for water heater repair or water heater installation. That’s half of a million customers! That’s why we can feel pretty confident that we can keep our resolution and make sure our guarantee is in effect all year long. Now, as we wrap up this New Year blog, we want to bring it back to water heaters for a moment. As the clock strikes midnight and 2016 arrives, we strongly recommend that you find a few minutes to take a look at your water heater. Just like when the clocks change and fire departments urge homeowners to check the batteries in the smoke alarms, we urge folks to use the changing of the year as an opportunity to make sure their water heater is working properly. First, you might consider flushing your water heater. After that, it’s a good idea to closely inspect your water heater and make sure there are no leaks. Also, do you hear a rumbling noise? We have a whole Water Heater FAQ page dedicated to answering your questions about a whole host of water heater issues that you might be dealing with. Just click this link for more information: . If you want more information, you can always call us 24 hours a day, 7 days a week and one of our water heater experts will be happy to answer question you might have and they can even help set up an appointment to have one of our technicians come out and take a look. Just give us a call at 1-866-WHO-QUICK. So, in conclusion, we here at Water Heaters Only, Inc. would like to extend our warmest wishes for you and your family to have a Happy New Year in 2016. We are looking forward to another great year of stellar customer service and we can’t wait to get out to some more trade shows and expos, so if you are a property manager or owner, feel free to drop by our booth and say “Hi!”. In the meantime, whether you are a property manager or just have a water heater problem, give us a call anytime and we will be happy to help you. Again, that 24 hour number is 1-866-WHO-QUICK / 1-866-946-7842. Happy New Year everyone!